Development Authority Report: Michelle Johnson appeared before the Commission to report on the Development Authority and the Chamber of Commerce. She informed the Commission that the Chamber of Commerce will be holding a Ribbon Cutting on Thursday, July 17th, 2014 at 10:00AM at the Flower & Sugar on Meadows Street in downtown Vidalia. On Thursday, July 31st, 2014 at 11:00AM there will be a Ground Breaking Ceremony at the Mercy Medical Clinic next to the Toombs County Health Department. The next Chamber Connection will be on Thursday August 14th, 2014 from 5:15 – 7:00 at the Vidalia Airport. Then on Thursday, October 16th, 2014 the Chamber Connection will be held at People’s Bank in the Lyons facility. Serving up Toombs-Montgomery will be on Thursday, September, 11th, 2014 at the Hawk’s Nest at Hawk’s Point Golf Club. Ms. Johnson reported that the Development Authority has a few reports on industry. The final progress report was submitted to the state for Chicken of the Sea in May. Submitted was an investment of $31,000,000.00 against a goal of $20,000,000.00 in local facilities. They have created 398 jobs against a goal of 310, so we were pleased to submit that final report. The Development Authority has several new prospects. One is Project Green a new local agri-business. A meeting was held on May 23rd, 2014 concerning an expansion project which will result in a $4,000,000.00 investment and 100 jobs. There was a meeting scheduled for today with Project Ice Cube, a Company based in China which is looking at the Spec Building to relocate a manufacturing company. There were project representatives and two developers out of Atlanta who came today to look at the Spec Building. Their primary customers are Wal-Mart, Target, Lowes, and Home Depot. Also, a solar-cell industry is interested in the Spec Building. This industry is a $15,000,000.00 investment with the creation of 200 jobs. Project Full is an aviation project and they are interested in the 25 acres at the airport and a 130,000 square foot facility. A proposal to this project was submitted on June 10th, 2014. In addition, Rain Clinical in conjunction with US Pet has expressed an interest in assuming the US Pet operations at the school and the Board of Education has already agreed to this so that will save some 20 plus jobs that were lost in the downsizing of US Pet. In the area of marketing we have purchased two ads in the Business Expansion Journal for September and October. The Authority is almost complete with their new web-site and sent out links to several of you already. It should be complete by the end of the month. Consideration of Resolution of Appointment of County Legislative Coordinator (CLC) to ACCG: Commissioner Dixon made a motion seconded by Vice-Chairman McCormick to appoint Commissioner Nobles as the County Legislative Coordinator to ACCG. Motion carried unanimously. Consideration of US Energy Sciences/CHAL Holdings for Toombs County Revolving Loan: Vice-Chairman McCormick made a motion seconded by Commissioner Nobles to approve the consideration of US Energy Sciences/CHAL Holdings for Toombs County County Revolving Loan. Commissioner Dixon abstained from voting. Motion carried by a vote of 3-0. Consideration of Contractor for CQA Services for Construction of Cells 13-19 at Toombs County Solid Waste Facility:Commissioner Nobles made a motion seconded by Commissioner Dixon to approve CQA Services for Construction of Cells 13-19 at the Toombs County Solid Waste Facility. Motion carried unanimously. Consideration of Contractor for E911 Recording System: Commissioner Dixon made a motion seconded by Vice-Chairman McCormick to approve the purchase of equipment necessary to complete the E-911 upgrade at a cost of $18,424.00 to be paid from SPLOST Funds. Motion carried unanimously. Mr. Barry Brown informed the Commission that the upgrade should be complete in September with staff to receive two weeks of training in October before the new System will be activated. Consideration of Contractor for X- Ray Security System at Courthouse: Vice-Chairman McCormick made a motion seconded by Commissioner Dixon to approve Rapiscan Systems at a cost of $17,275.00 to be paid from SPLOST Funds. Motion carried unanimously. County Manager Report – Financial Report: Manager Jones gave the Financial Report for the Month of June. EMS Report: Jones gave the Financial Report for the Month of June. Consideration of Maintenance Projects on County Buildings: Manager Jones gave a report on Maintenance Projects on County Buildings and informed the Commission that this was going to have to be tabled until the next meeting due to the fact that he hasn’t received all the figures back on the Georgia Correctional Construction Crew. Consideration of Declaration of Excess Property for Disposal: County Manager Jones informed the Commission that the County has 11 vehicles that they would like to declare excess property. The County has one vehicle that they would like to sell to the City of Alamo. Commissioner Dixon made a motion seconded by Vice-Chairman McCormick to sell the 2005 Crown Victoria to the City of Alamo for $3,000.00. Motion carried unanimously. Vice-Chairman McCormick made a motion seconded by Commissioner Dixon to declare the other eleven vehicles excess property. Motion carried unanimously. Convenience Center Up-Date – Name Change Proposal: This proposal was delegated to the Landfill Committee. Up-Date of Construction of Cells 13-19 at Solid Waste Facility: Mr. Jones reported that the loan closing to construct new cells at the landfill will be held Wednesday, July 23rd, 2014 at noon. All contracts were to be signed on Tuesday July 22nd, 2014 with work to begin immediately. The construction will take 12-18 months to complete. Up-Date of TIA Project – Ezra Taylor Road: Jones informed the Commission that the final drawings are being finalized for the paving of Ezra Taylor Road. Surveyors are expected to mark where the road is going to be which will show homeowners exactly how the project will look before they sign the final acceptance. Up-Date of 2014/2015 LMIG Project – Glynn James: Jones reported that the staking of property and finalizing the right-of- way deeds is taking place on Glynn James Road. This project will probably be finished before Ezra Taylor Road. Commissioner Dixon made a motion seconded by Commissioner Nobles to use 2015 LMIG Money for the second phase of Glynn James Road. Motion carried unanimously. Up-Date of 2014 Road Striping Project: Jones reported that the striping project is going well and there are three roads left for that project to be complete. This was paid for out of the discretionary T-SPLOST Fund. 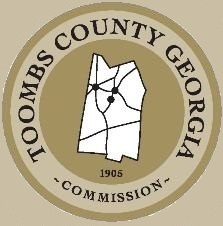 Setting Millage Rate Schedule: Chairman Tillery informed the Commission that the Tax Digest for the county has been completed by the Toombs County Board of Assessors. Also, the 5-Year History will be printed in The Advance two weeks prior to the setting of the millage rate. Vice-Chairman McCormick made a motion seconded by Commissioner Nobles to set public meeting for July 31st, 2014 at 9:00AM in the Toombs County Courthouse for the setting of the millage rate. Motion carried unanimously. Manager Jones reminded everyone of the Comprehensive Plan Meeting to be held on Thursday, July 24th, 2014 at 10:00AM at the City of Vidalia Municipal Annex. Standing Committee Reports: Vice-Chairman McCormick of the Roads and Bridges Committee presented a new Paving Policy to the Commission that he and Commissioner Nobles put together. There was a consensus of the Board to approve the Committee’s recommendation on the new Paving Policy. Commissioner Dixon informed the Commission that he met with the EMS Director and everything is going well in that area. Commissioners Comments: Vice-Chairman McCormick thanked Ms. Powers for her report on the library system and told her that the Commission would be in contact with her. Commissioner Nobles ask if the Commission would consider having the September Meeting at Normantown Fire Station. Chairman Tillery informed the Commission that he is excited about The County Road Department moving out to the Landfill and the new Construction crew. Also, he reminded everyone about the fact that there will potentially be several capital murder cases coming up in our judicial circuit and that the county is responsible for the criminal defense costs in these matters which could exceed $500,000.00 each. This is something that needs to be remembered for the up-coming budget. Adjournment: Vice-Chairman McCormick made a motion seconded by Commissioner Dixon to Adjourn at 6:40PM. Motion carried unanimously. TOOMBS COUNTY BOARD OF COMMISSIONERS SMALL COURTROOMAugust 19, 2014 5:30 PMREGULAR BOARD MEETINGPRESENT: MICHAEL BLAKE TILLERY, JEFF MCCORMICK , ROY LEE WILLIAMS, WENDELL HUGH DIXON, HOWARD KAUFOLD, JOHN M. JONES AND GAIL WIDNERCall to Order: Chairman Tillery called the meeting to order.Invocation : Vice-Chairman McCormick gave the invocation.Approve Agenda: Vice-Chairman McCormick made a motion seconded by Commissioner Dixon to approve the agenda as presented. Motion carried unanimously.Approval of Minutes: July 15, 2014 Regular Board Meeting: Commissioner Dixon made a motion to amend the minutes to reflect that Attorney Kaufold was not present at the July 17, 2014 meeting. Vice-Chairman McCormick seconded the motion. Motion carried unanimously.Employee Recognition: No employee recognition at this time.Public Participation: David Hartage, Senior Resident Inspector at Plant Hatch gave a brief overview of their job at Plant Hatch. They perform base line inspections of the licensee which is Southern Company to assure that they are operating in accordance with conditions and regulations associated with their license.Terry Findley, Assistant Chief for Toombs County Fire Department reminded everyone that there would be a 911 Memorial Dedication at Partin Park on September 11, 2014 at 6:00 PMDevelopment Authority Report: Chairman Dixon gave the report for the Development Authority. Orientation for Leadership Toombs-Montgomery will be August 21st and August 22nd. The spec building project is progressing nicely with the finished product anticipated by mid-September. The next Development Authority meeting will be August 21st at noon. Chamber Connections will be at the Peoples Bank’s new facility in Lyons on October 16th from 5:15 until 7:00 PM. Serving up Toombs-Montgomery will be Thursday, September 11th from 5:00 PM to 7:00 PM. There was concern that the two meetings on September 11th were at the same time. (This one and the one for the fire department)Department Reports: Skipper Smith, Code Enforcement Officer, reported that the dump site at Petross has been cleaned up and cameras installed. He stated that since the cameras were installed, not a single piece of paper has been dropped.Chess Fountain, Clerk of Court reported the recent burning of the Hancock County Courthouse. He reflected that their courthouse was a heart pine structure unlike ours that is mostly concrete and steel. He stated that the major concern in most courthouses now is water damage either from records stored in the basements or fire sprinklers. His concern for our courthouse is a tornado. Mr. Fountain emphasized that he has four staged redundancy of all current records. The records are backed up at 5:30 each day.All plats have been scanned and digitized from 1954 to present. All real estate documents from 1993 to present and all criminal and civil records from 2001 to present are also digitized. Chairman Tillery questioned Mr. Fountain as to where he would want to be with records at this time. Mr. Fountain explained that most banks want a 40 year title opinion so he feels that he is about half way on the real estate records. Chairman Tillery stated that he is quite impressed with the record keeping.County Manager Report Financial Report: County Manager Jones gave the Financial Report for the month of July.EMS Report : County Manager Jones gave the EMS Report for the month of July. There were 414 runs with 390 being in Toombs County and 24 in Montgomery County.Approval of EMS Write-Off – Bad Debt: Vice-Chairman McCormick made a motion seconded by Commissioner Dixon to approve the Medicaid write-off of $16,597.21. Motion carried unanimously.Consideration of Donation of EMS LifePak to Telfair EMS: Commissioner Dixon made a motion seconded by Vice-Chairman McCormick to donate the LifePaks to Telfair EMS. Chairman Tillery questioned why Telfair County. Raymond Carroll, Toombs County EMS Director, explained that Telfair is in bad shape financially. Their life packs are 15 years and older. We have 4 newer life packs, 2 purchased through Meadows Regional and 2 by Toombs County. Motion carried unanimously.Consideration of Work True Screener to City of Lyons: Commissioner Dixon made a motion seconded by Vice-Chairman McCormick to donate our Work-True Screener to the City of Lyons. Motion carried unanimously. Review of Request For Southside Drive into County Road System: County Manager Jones forwarded the info required to accept a road into our county road system on June 30th but has not heard anything from the petitioner. Up-Date on Zorn Development Compliance: The easements needed for the three (3) drain pipes have been received. Up-Date of Construction of Cells 13-19 at Solid Waste Facility: First request for draw from McLendon Enterprises approved by the engineers was received this week. Payment will be going out this week. Up-Date of TIA Project – Ezra Taylor Road: Manager Jones and Chairman Tillery met with DOT regarding a problem with the Excel/Decel lanes on 280. Hopefully, DOT in Jesup will approve the changes and not require spending an additional $150,000.00. Up-Date of 2014/2015 LMIG Project – Glynn James: Phase II money for the paving of Glynn James should be in hand before the next meeting and should be able to send out proposal for bids at that time. Consideration of Bid for Transmission for Repair on Dump Truck: Vice-Chairman McCormick made a motion seconded by Commissioner Williams to accept the proposal from Transpower, Inc for accept the proposal from Transpower, Inc transmission repair for the dump truck in the amount of $7,747.52 to be paid out of the General Fund. Motion carried unanimously. Consideration of Additional Prison Crew for Solid Waste: County Manager Jones asked for consideration for an additional prison crew for Solid Waste. The cost for the crew would be $39,000.00 per year. We would have to buy a van at approximately $15,000.00 plus the cost for lawn mowers, weed eaters, etc. This crew would be doing the convenience van at approximately $15,000.00 plus the cost for lawn mowers, weed eaters, etc. This crew would be doing the convenience centers and the landfill and would free up the existing crew to do other things. Commissioner Dixon made a motion seconded by Vice-Chairman McCormick to hire an additional prison crew for solid waste to be paid out of the landfill account. Motion carried unanimously. DNR Meeting regarding River Landings: County Manager Jones and Chairman Tillery met with DNR regarding the Altamaha River landings. They are going to do some surveying and get back with us before the end of the year with some plans for possibly adding one or two additional landings along the river. They expressed that they might be interested in doing some cost sharing with us for these additions and other upgrades. Standing Committee Reports: Chairman Tillery commented on the projects we have going on at this time including the cells at the landfill, Glynn James Road paving, Ezra Taylor Road paving and Mercy Clinic at the Health Department to name a few. Commissioners Comments: Vice-Chairman McCormick has had many calls questioning when Ezra Taylor Road will be paved. County Manager Jones stated that hopefully by the end of the year we will be able to put the project out to bid. There are still parcels of land that we do not have deeds on and the appraiser is working on them now. County Manager Jones feels that we will start Glynn James Road before Ezra Taylor Road. Adjournment: Vice-Chairman McCormick made a motion seconded by Chairman Dixon to adjourn. Motion carried unanimously. Call to Order: Chairman Tillery called the meeting to order with Fire Chief, Johnny Moser welcoming everyone to the meeting at the Normantown Fire Station. Moment of Silence Chairman Tillery asked for a moment of silence in honor of Mr. Red Wheeler, County for Red Wheeler: Web Site Director who recently passed away. Invocation: Reverend Mitch Bellflower gave the invocation. Approve Agenda: Commissioner Dixon made a motion to amend the agenda to add executive session at the end of meeting for the purpose of discussing future acquisition of real estate. Vice- Chairman McCormick seconded the motion. Motion carried unanimously. Approval of Minutes: Commissioner Dixon made a motion seconded by Vice-Chairman McCormick. August 19, 2014 to approve the August 19th, 2014 Regular Board Meeting. Commissioner Nobles abstained from the vote because he was not present. Motion carried 3-0. Employee Recognition: Chairman Tillery recognized Randy Rogers from the Toombs County Road Department as Employee of the Month for September. He was awarded a $50.00 Gift Certificate to J&B’s Steak House in Vidalia. Public Participation: Charles Cook appeared before the Commission to thank them for coming out to the Normantown Community and showing an interest in this community. Elmer Caraway appeared before the Commission to thank them for bringing their meeting out to Normantown and showing an interest in that part of the County. Also, Mr. Caraway had a few issues to discuss with the Commission. The first being the closing of dumpster sites at Victory Drive and the other being the condition of Ben Boatright Road. He is not happy with the cost of a personal dumpster that was brought out to his house. He was told the cost to dump was $25.00 but ending up being billed for $50.00. Secondly, he feels he is chasing a rainbow trying to get Boatright Road Paved. Years ago the citizens here got up a petition to get this road paved and were told it was put on a list. Now we are told there is no list & new rules apply to getting a road paved. If you could just maybe go out there and put some gravel on the road. Only one car can pass at the time. Someone is going to end up in the ditch or hurt. Mr. Nobles asked that Mr. Caraway stay after the meeting to talk about the problems. Betty Lindsey appeared before the Commission to thank them for bringing the monthly meeting to the Normantown Community. She also had concerns about the condition of Ben Boatright Road. The condition of the road has messed up the front end of her truck. The ditches get pulled about every three years and the water just runs across the road and washes it out. In addition, Mrs. Linsey informed the Commission that she presented a petition to the prior Commission with 100% of the road’s residents having signed it and nothing has been done. Also, she assured the Commission that getting right-of-ways from the property owners would not be an issue. Chairman Tillery thanked everyone for their input and assured them that the current Commission has not seen a road list of any kind therefore, the County Road committee came up with the rating system for paving roads. Development Authority Report: Mr. Bill Mitchell gave the report for the Development Authority. Chicken of the Sea is getting the $1,000.000.00 Grant again from DCA on October 1st, 2014. Orientation for State Wide Developer’s Day will be October 21st and October 22nd. The spec building project is progressing nicely with the finished product is anticipated by the end of September. The Fall Meeting of the Toombs County Development Authority will be at 8:00 AM in the morning to discuss several things including a nomination from the committee for two new members to the Development Authority one from Lyons and one from Vidalia. The community bus tour is coming in and we have been selected to showcase our assets. We are very pleased. Chamber Connections will be at the Peoples Bank’s new facility in Lyons on Thursday, October 16th from 5:15 until 7:00 PM. Department Reports: Barry Brown, E-911 Director, reported that for the month of August E-911 received 2,583 calls. They actually dispatched out to 1,960 of those calls. Mr. Brown informed the Commission that the new computer system is 90% complete with 10% left mostly for training. He anticipates going live on November 18, 2014. In addition, Brown reported that the Toombs County office is still receiving emergency calls from Montgomery County residents although that county separated itself from Toombs County months ago. Toombs County Manager, John Jones has met with Montgomery County Manager, Brandon Braddy to get this resolved. Consideration of Re-Appointment of Raymond Turner To WI A Board: Commissioner Dixon made a motion seconded by Commissioner Nobles to re-appoint Raymond Turner to the WIA Board. Motion carried unanimously. Consideration of Herndon Family Properties, LLC Vice-Chairman McCormick made a motion seconded by Commissioner Nobles approve the Toombs County Revolving Loan for the Herndon Family Properties, LLC. Toombs County Revolving Loan: Motion carried 3-0 with Commissioner Dixon abstaining from the vote. Consideration of McLendon Enterprises for Emergency Repairs on C.V. Mosley Rd: Commissioner Nobles made a motion seconded by Commissioner Dixon to approve McLendon Enterprises to fix the repairs on C.V. Mosley Road to be paid from SPLOST Funds. Motion carried unanimously. Consideration of Approval of Health Reimbursement Arrangement (HRA) of Toombs County Board of Commissioners: Commissioner Dixon made a motion seconded by Vice-Chairman McCormick to approve the Health Reimbursement Arrangement (HRA) of the Toombs County Board of Commissioners. Motion carried unanimously. Chairman Tillery went on to thank County Clerk, Belinda Whirley for her work with the Wellness Program. Consideration of Closing Green Box Dumpster Sites at Victory Drive, Davis Road and Racket Town Road: Commissioner Dixon made a motion seconded by Vice-Chairman McCormick to close the dumpster sites after the Convenience Center opens up on Resmondo Road. Motion carried unanimously. Consideration of Mutual Aid Agreement with Cobbtown Fire Department: Commissioner Dixon made a motion seconded by Vice-Chairman McCormick to approve the Mutual Aid Agreement with Cobbtown Fire Department. Motion carried unanimously. Consideration of ApprovalToombs County Policy on Electronic Communications and Social Media Policy: Vice-Chairman McCormick made a motion seconded by Commissioner Dixon to approve the Toombs County Policy on Electronic Communication and Social Media that was recommended by ACCG. Motion carried unanimously. County Manager Report Financial Report: County Manager Jones gave the Financial Report for the month of August. He informed the Commission that the 2015 Budget request have been sent to Department Heads. EMS Report : County Manager Jones gave the EMS Report for the month of August. There were 442 runs with 381 being in Toombs County and 61 in Montgomery County. 90 Day Trial Period Trial Period for Public Works 4 Day/10 Hour Day Schedule: Manager Jones informed the Commissioners that Public Works is on a 90 trial period for a 4 day/10 hour day schedule. If all goes as planned this should produce two more road scrapings per year. Other Miscellaneous Items: Jones reported that the second draw on the landfill project has been received. Also, the Animal Control Committee and Recreation Committee will meet at the end of October. CommissionersComments: Vice-Chairman McCormick thanked everyone for coming out. He has had many calls questioning when Ezra Taylor Road will be paved. County Manager Jones stated that hopefully by the end of the year we will be able to put the project out to bid. There are still parcels of land that we do not have deeds on and the appraiser is working on them now. County Manager Jones feels that we will start the paving of Glynn James Road before Ezra Taylor Road. Commissioner Williams thanked all of our Volunteer Firefighters. Commissioner Dixon thanked Johnny Moser for and the firemen for the job they done at the presentation for 911 at Partin Park. Commissioner Nobles reminded everyone of the ACCG 2014 Fall District Meeting for District 9 to be held at the Lyons Depot on Wednesday, November 19 from 10:00AM to 12:00PM. Lunch will follow. Chairman Tillery reminded the Commission of a called meeting set for September 25th, at 9:00AM to confirm the millage rate. Commissioner Dixon made a motion seconded by Vice-Chairman McCormick to recess for about five minutes before the executive session. Motion carried unanimously. Executive Session: Commissioner Dixon made a motion seconded by Vice-Chairman McCormick to go into executive session to discuss litigation and future acquisition of property. Motion carried unanimously. Commissioner Dixon made a motion seconded by Vice-Chairman McCormick to end the executive session. Motion carried unanimously. There was no action taken as a result of executive session. Adjournment: Vice-Chairman McCormick made a motion seconded by Commissioner Dixon to adjourn at 7:15PM. Motion carried unanimously. Call to Order: Chairman Tillery called the meeting to order at 5:30pm. Invocation: Reverend Alfred Cason gave the invocation. Approve Agenda: Commissioner Dixon made a motion seconded by Vice-Chairman McCormick to amend the agenda to add Development Authority Appointments after Department Reports on the Agenda. Motion carried unanimously. September 16, 2014 Regular Board Meeting & September 25th,Called Meeting: McCormick to amend September 16th, Regular Board Meeting in the wording in the sentence of Betty Lindsey presenting a signed petition to the Board should be corrected to read that Betty Lindsey presented a signed petition to the prior Commission and nothing was done. Motion carried unanimously. Recognition of E.L. “Sonny” Odom Board of Assessors: The Chairman Tillery honored E.L. “Sonny” Odom for 15 years of service on the Toombs County Board of Assessors. He was awarded with a plaque honoring his service to the county. Mr. Odom was very thankful to everyone especially the Tax Assessors Office for all the work they do. Employee Recognition: Chairman Tillery recognized Claudia Gardner as Employee of the Month for October. She has worked in the Toombs County Clerk of Court’s Office for 14 years. She was awarded a $50.00 Gift Certificate to Ruby Tuesday’s in Vidalia. Public Participation: Kirby Brantley came before the Commission as a resident of Toombs County, who lives on North Morningside Drive. He presented a petition to bring Country Estates Boulevard Extension into the road system. This road is 685 feet and it connects CV Mosley Road to Green Acres Drive. It is the main access to North Morningside Drive. It has become dangerous to this community and especially unsafe for our children because of tree limbs obstructing the along the right of way. Chairman Tillery thanked Mr. Brantley and told him that this is the first step to getting the road accepted into the system but there are several more steps that will need to be taken before at vote can be made. The County Manager will be in touch with you within the next week to talk about that process. Report: Development Authority and the Chamber of Commerce. The Chamber is having their Annual Golf Tournament on Thursday, October 23, 2014 at Hawk’s Points Golf Club. The next Chamber Connection will be Thursday, November 13, 2014 at People’s Bank in Lyons from 5:15PM to 7:00PM. The Development Authority is hosting the Economic Development Session of Leadership Toombs-Montgomery on Thursday, October 30, 2014. Also, they will visit Vidalia Schools on Wednesday, November 5, 2014 to see a demonstration of their Robotic Program. The next Development Authority Meeting will be held on Thursday, November 20, 2014 at 12 Noon. The Development Authority Board has two member’s whose term will expire in December of 2014 and nominees have been submitted to the Commission for a vote tonight so that these new members can be part of the November Retreat. Department Reports: Skipper Smith, Director of Environmental Compliance informed the Commission that the County is down to one dumpster site. The two in the north part of the County have been closed and cleaned up. The county has placed cameras at this site to get it under control. Development Authority Appointments: Vice-Chairman McCormick made a motion seconded by Commissioner Nobles to approve the appointments of Donnie Alderman, who will assume the position of Wendell Dixon, who has filled his term and Trent Williams who will succeed Michael Grimes. Motion passed by a 3-0 vote with Commissioner Dixon abstaining from the vote. Consideration of Resignation from Joseph Hutcheson Toombs County Recreation Director: Commissioner Nobles made a motion seconded by Commissioner Williams to accept the resignation of Toombs County Recreation. Director, Joseph Hutcheson. Motion carried unanimously. Commissioner Dixon made a motion seconded by Vice- Chairman McCormick to table this item until the next regularly scheduled meeting. Motion carried unanimously. Consideration of Appointment of Mrs. Marianne McMillan to Toombs County Board of Family and Children Services: Commissioner Dixon made a motion seconded by Vice- Chairman McCormick to table this item until the next regularly scheduled meeting. Motion carried unanimously. Report from the Animal Control Ordinance Review Committee by Leesa Hagen: Ms. Leesa Hagan of the Animal Control Ordinance Review Committee appeared before the Commission to report on their recommendations. She informed the Commission that the Committee had met five times since April and that they have reviewed the policies and met the three goals requested of them. Ms. Hagan informed the Commission that SOAPS saves Toombs County time and money by placing 1500 dogs per year, while also spay/neutering another 4500. SOAPS spends anywhere from $25,000 to $300,000 annually on their efforts with no paid employees. She went on to inform all that SOAPS is prohibited by law from picking up animals beside the roadway or on public property such as dumpsters. Therefore, she recommended that the county enter into a legal written contract negotiated between the county and rescue that would allow their association to pick up the animals. Other recommendations included that the county enact ordinances that would allow animal control officers/law enforcement officers to take animals from private property without the owner’s permission if there are health or safety issues. Another recommendation is to see an ordinance limiting the number of domestic animals residing at a residence, and require business licenses for dog breeders. Hagan acknowledged there is an animal problem within Toombs County and it is a problem that deserves the attention of the Commissioners and citizens both for the sake of public health and safety, and the humane treatment of animals. Consideration of Approval of 2014 Contribution Employee Defined Benefit Plan: Commissioner Dixon made a motion seconded by Vice-Chairman McCormick to approve the recommendation of County Manager, Jones to contribute the maximum amount to the Toombs County Employee Defined Benefit Plan. Motion carried unanimously. Consideration of CDBG Application for Improvementsto Pendleton Creek Community: Commissioner Nobles made a motion seconded by Commissioner Williams to approve the 2015 CDBG Application for Pendleton Creek Community. Motion carried unanimously. Financial Report: Manager Jones gave a financial report for the month ending September 30, 2014. EMS Report: Jones reported that there were 500 calls for the month of September and also that collections are up as well. Other Miscellaneous Items: Mr. Jones reported that he met with the landscape engineer last week and they went out to Gray’s Landing to look at what improvements can be done in the landscaping. The Department of Natural Resources would like to meet with us out there in three weeks to go over the plans that we have for Gray’s Landing. They are going to let us know how much money they can allocate to us to help do some of these projects. Also, the County was looking at putting in a landing at Dead River Road but DNR says that will not work due to the water level over a 12 month period. Although the Department of Natural Resources is unable to help with funding they suggested that the County try to put in some type of landing. Also, we are talking to them about US HWY 1 and putting a landing at the bridge there. Manager Jones informed the Commission that Representative Morris was able to help the county get a prison work crew to do some much needed maintenance on our county buildings. Standing Committee Reports: Commissioner Dixon informed the Commission that he met with EMS Director, Raymond Carroll and they are concerned with the number calls due to the miles being put on the ambulances. They are all running now. I think they are doing a really good job. Also, Dixon went on to thank the road crew for the work they do. Commissioners Comments: Commissioner Nobles informed the Commission that he attended the ACCG Conference and that there was a lot of concern about the LOST Distributions.Nobles also informed the Commission that while there he found out that the Superior Judges are asking for a big raise and also, they are trying to pass a law that SPLOST can be put in reserve if not used. Two bills coming up this year will help with the funding of 911 and the other will help with the funding of Juvenile Cases. In other business, he informed the Commission that the Trucking Industry would like to raise the weight limit on Semis from 80,000lbs to 95,000lbs but the government is trying to fight this because this weight increase would cause a lot of damage to County Road Systems. In closing Commissioner Nobles reminded everyone of the ACCG District 9 Meeting to be held on November 19, 2014 at the Lyons Depot from 10:00AM – Noon with lunch to follow.Chairman Tillery thanked Commissioner Nobles for serving on those committees and keeping the Commission informed. Vice-Chairman McCormick thanked all the employees for what they do day in and day out. Just like these green box sites. They are moved, clean, and just look great. The last dumpster site that we have is in my district down in the Petross area. I get a lot of phone calls due to illegal dumping there. Hopefully, we can find some land over in that area to put a convenience center by next year. Chairman Tillery thanked everyone for their reports. Our first responders and firemen can’t get calls in certain areas of the county. There will probably be a report on this at the next meeting. Tillery informed the Commission that last week we had Putnam County come through our area to see what our Development Authority has done and the successes that they have had. Georgia Power actually paid for them to come through because Plant Branch is closing. What we are going to do when that large supplier of income leaves? What are we going to do to remain viable? I think we need to be a progressive generation and think about that now. Temporary Recess for Workshop Session: Vice-Chairman McCormick made a motion seconded by Commissioner Dixon to take a temporary recess for the Workshop Session at 6:20PM. Motion carried unanimously. Overview of Long-Term Strategic Plan for County Transportation Infrastructure: AT 6:40PM, Manager Jones took the floor by explaining that the he and the Commission began evaluating really everything in County Government including the road system 2 years ago. The main goal was how to improve the total road system while lowering the number of miles unpaved and improving the shape of those that remain unpaved. The County spends approximately $1,000,000.00 a year on roads and most of that goes toward maintaining our 361 miles of dirt roads. The Commission’s strategic goal is to try to lower those miles. One way to do this is by closing dirt roads in the County that does not serve a public purpose. We then need to come up with a way to determine which roads would need to be paved. One accomplishment was the development of a Road Paving Rating System by the Road Committee. Vice-Chairman McCormick & Commissioner Nobles played a big part in putting this system together. Review of Road Scoring System: Manager Jones turned the review of the Road Paving Rating System over to Vice-Chairman McCormick. Vice-Chairman McCormick thanked everyone for attending the meeting. He went on to say that to lower the number of miles unpaved the first option is to close roads that do not serve a public purpose. The next step is to determine which dirt roads will be paved. We are in the process of paving Glynn James Road and Ezra Taylor Road. Both roads are being paid by a Local Initiative Grant or LMIG which is no cost the County. McCormick informed everyone that the Road Rating System is based on a number of items. The road is scored higher if it is a shorter road. Also, an important aspect is all right of- way deeds have been obtained and filed. Other aspects are driver safety, public safety and the number of residents, businesses and places of worship. Interconnection to a State Route is a big deal and scores higher. No more than three roads at a time are considered for paving. This Commission has heard many times about a list of roads to be paved but no one has ever found this list. As far as getting roads ready to pave we do have a crew that has been put together for that purpose. We have purchased some equipment that can actually help get this done. Plan for Improvement of Existing Dirt Roads: Manager Jones explained to the Commission that T-SPLOST funds are being used to fund the new T-SPLOST Crew whose job is to re-engineer all the county dirt roads. Equipment has been purchased with SPLOST Funds. This will help us have a better dirt road system and help prepare them if paving ever becomes an option. Jones reiterated that the County’s goal is to have a better overall road system in to the list of roads that were to be paved. He went on to say that his road Bud Jordon Road was to be paved that he went out and got the right-of-way deeds. Mr. Brantley informed the Commission that they don’t have to pave the road just get it in good enough condition so they can get in and out. This road is too dangerous even for an ambulance to get through. Vice-Chairman McCormick agreed with Mr. Brantley that Bud Jordan road is in poor condition. He himself drove down it and there are parts of the road that only one car can pass through at time. He went on the say that the ditches have been filled up and there are crops actually growing on what should be part of the road. McCormick informed all that it is this Commission’s goal to look at all roads and make a pledge to make them all better. Over the next eight years this Commission would like to be able to have a better road system and be able to maintain all roads within the Toombs County Road System. Chairman Tillery informed Mr. Brantley that most of the time when the Commission has gone back to check on these right- of-way deeds they have turned out to be in most cases a petition signed by landowners. In order for it to be deeded to the County it has to be filed in the Clerk of Court’s Office. Tillery said “If in fact it was only a petition that was filed the first step would be to get the right-of-way deeds signed and filed in the Clerk of Court’s Office. Mr. Elmer Caraway wanted to know how much footage is needed for a right-of-way deed. The Commission referred this question to Road Superintendent Fuzzy Swain. Mr. Swain said it depends on the road but most of the time it is a 60 to 80 foot right-of-way that is required. County Manger Jones did inform Mr. Elmer Caraway that if in the long term goals the Commission is looking at turning lanes and such as that then a 100 foot right-of-way would be needed. Mr. Elmer Caraway asked the Commission what would happen if say he gave his land for the right-of-way but someone else chose not to then what would happen. Tillery explained that although the Commission would never want to take anyone’s property there may be times when it is unavoidable. The land owner would be offered an appraised value for their land. Another question that was asked is when the Commission is asking for a 60 foot right-of-way is that 30 foot on each side of the center line. Commissioner Nobles answered by saying that it may not always be an even 30 foot, because it all depends on the road and what is required for the ditches or straightening of curves. In most cases it has to be at least a 60 foot right-of-way. Still another question was asked by a gentleman who lives at the corner of Ezra Taylor and Hugh Taylor Roads. He just dug up a tree and moved it 30 feet over. He wants to know if the Commission feels like this is enough room for future growth. Manager Jones informed all that it would be better to move it Back another 10 feet because if you look at the long term plans it will probably have to be moved again. There are no plans on the books that show Hugh Taylor ever being paved, but if you look at it over a 15 year period it is possible. Mr. Wayne Brantley asked the Commission if they could get him the correct paperwork that needs to be signed for getting the right –of-way deeds signed for Bud Jordan Road. Chairman Tillery assured Mr. Brantley that the County would get him the proper paper work. Return to Regular Meeting from Workshop Session: Vice- Chairman McCormick made a motion seconded by Commissioner Dixon to return to regular meeting at 7:40PM. Motion carried unanimously. Executive Session: Commissioner Dixon made a motion seconded by Vice- Chairman McCormick to go into executive session to discuss pending potential litigation, acquisition of real estate and deliberation of disciplinary action of employees. Vice-Chairman McCormick made a motion seconded by Commissioner Dixon to end executive session. Motion carried unanimously. As a result of executive session, Commissioner Nobles made a motion seconded by Vice-Chairman McCormick to allow each individual involved in the law suit to be served separately and to approve the recommendations of the County Manager to reprimand those EMS Employees involved in the August, 31st, 2014 incident and also to appoint Larry Moore as Interim Recreation Director. Motion carried unanimously. Call to Order: Chairman Tillery called the meeting to order. Invocation: Commissioner Williams gave the invocation. Approve Agenda: Commissioner Dixon made a motion seconded by Commissioner Williams to approve the agenda as presented. Motion carried unanimously. October 21, 2014 minutes of October 21, 2014. Motion carried unanimously. Development Authority Report: Bill Mitchell, Executive Director of the Development Authority gave an update on events of the Development Authority as well as the Chamber of Commerce. TheDevelopment Authority will hold their monthly meeting on November 20th, 2014 at noon. The Spec Building should be complete by the end of November and several companies have shown an interest. The Vidalia High School will host a Robotics Program Demonstration for local economic development professionals including representatives of the Toombs County Development Authority, Toombs-Montgomery Chamber of Commerce, Toombs County Board of Commissioners, Lyons & Vidalia City Council, Southeastern Technical College, Georgia Department of Labor, and Georgia Department of Economic Development. In conclusion, Mr. Mitchell informed the Commission of the Chamber Connection to be held on November 13, 2014 from 5:15pm to 7:00pm. Department Reports: Barry Brown, Director of E-911 appeared before the Commission to inform them that the upgrade on the E-911 computer system has been completed and the new system came online 11:00 this Tuesday morning. The Commission thanked Barry for a job well done. Presentation of Petitionto close a section of Bud Jordan Road: Mr. Jones also presented the Commission with a petition to close a section of Bud Jordan Road which will follow the County Guidelines as presented above to close a County Road. Commissioner Dixon made a motion seconded by Commissioner Nobles to approve all three applications. Motion carried by a 3-0 vote with Commissioner Williams abstaining. Award Recommendation for paving a section of approve the lowest bid of McLendon Enterprises, Inc. with a price of $278,276.2 5 for paving a section of Glynn James Road. Motion carried unanimously. This is our 2014-2015 LMIG Projects. Consideration of Approval Management Services Inc.: Commissioner Nobles made a motion seconded by Commissioner Dixon to approve the contract with Utility Management Services, Inc. Motion carried unanimously. Consideration of Approval of Technical Service Support Agreement on 4 LifePak Machines: Commissioner Dixon made a motion seconded by Commissioner Nobles to approve the Technical Support Agreement on 4 LifePak Machines to be paid from EMS Funds. Motion carried unanimously. Consideration of Approval To Purchase Radios: Commissioner Dixon made a motion seconded by Commissioner Nobles to approve the purchase of radios for Cedar Crossing and Marvin Yancey Fire Departments to be paid from SPLOST Funds at a cost of $10,000.00. Motion carried unanimously. Consideration of Approval of Recommendation of Appointment to Board of Assessors: Commissioner Nobles made a motion seconded by Commissioner Dixon to appoint Kendall Brantley to fill the unexpired term of Edwin “Sonny” Odum, which will expire at the end of 2015. Motion carried unanimously. Commissioner Dixon made a motion seconded by Commissioner Nobles to re-appoint Gary Tapley for a six year term to begin January 1, 2015 – December 31, 2020. Motion carried unanimously. Consideration of Appointment of Mr. Wayne Smith to Toombs County Board of Family and Children Services Commissioner Dixon made a motion seconded by Commissioner Nobles to appoint Mr. S. Wayne Smith to the Toombs County Department of Family and Childrens Services for a term that began on July 1, 2013- June 30, 2018. Motion carried unanimously. Consideration of Appointment of Mrs. Marianne McMillan to Toombs County Board of Family and Children Services: Commissioner Dixon made a motion seconded by Commissioner Nobles to appoint Mrs. Marianne McMillan to the Toombs County Family and Children Services for a term beginning July 1, 2014 – June 30, 2019. Motion carried unanimously. Approval of Support Letter for the Sunshine House: Commissioner Dixon made a motion seconded by Commissioner Nobles to approve the letter of support for the Sunshine House. Motion carried unanimously. County Manager Report Financial Report: County Manager Jones gave a Financial Report for the month ending October31, 2014. Budget is running on schedule and LOST collections are up. EMS Report: Manager Jones informed the Commission that there were 453 calls last month. Also, the EMS is going to be conducting a Self Assessment to identify strengths and weaknesses in the program. Animal – Rescue Agreement on Public Property: Jones informed all that the Legal Council is currently working on this and it should be ready at a later time. Up-Date Budget Preparations:All departments have been given budget request and most of those have been turned in. Jones also gave a list of buildings and the improvements to be made. There needs to be a vote on the $25000.00 for the courthouse improvements. Commissioner Dixon made a motion seconded by Commissioner Nobles to approve the additional building improvement expense of $25,000.00. Motion carried unanimously. Commissioner Dixon made a motion seconded by Commissioner Nobles to approve the Altamaha Regional Commission Resolution. Motion carried unanimously. Other Miscellaneous Items:Jones told the Commission that the walk through for the Mercy Clinic was held this morning. The City of Lyons has already issued a letter of occupancy so following the punch out they should be able to move in. They are looking at having an Open House around the 1st of December. Commissioner Dixon made a motion seconded by Commissioner Nobles to give employees longevity bonuses the same as last year. Motion carried unanimously. Standing CommitteeReports: Commissioner Dixon thanked the Road Department for the work they have done for the Chamber of Commerce and the Development Authority. Commissioners Comments: Commissioner Nobles said that the Landfill is coming along good. Commissioner Nobles and Mr. Tommy Thompson have been at the SWANA Meeting this week in Augusta. They still would like to visit the landfill in Hampton County which is making methane gas to run all their equipment. Also, Commissioner Nobles reminded everyone of the 9th District Meeting to be held at the Lyons Depot on November 19, 2014 from 10:00AM- Noon. Lunch will be served. Commissioner Dixon also wanted to thank Barry for the great job he has done with the new E 9-1-1 system. Chairman Tillery also thanked Mr. Barry Brown for a job well done. He spoke at the Kiwanis Meeting this morning and tried to update them on everything that is going on in the county. He also wanted to remind everyone that this Commission has approved to pave the first county road in nine years. Commissioner Dixon made a motion seconded by Commissioner Nobles to go into recess and come back to an executive session to discuss potential litigation and personnel. Motion carried unanimously. Executive Session: Commissioner Dixon made a motion seconded by Commissioner Nobles to go into executive session. Commissioner Dixon made a motion seconded by Commissioner Nobles to end executive session and return to regular session. Following the executive session Commissioner Nobles made a motion seconded by Commissioner Dixon to approve the revision of the County Manager’s Contract. Commissioner Dixon made a motion seconded by Commissioner Nobles to allow the attorney to answer the law suit on behalf of the Commission and the Tax Commissioner. Approve Agenda: Commissioner Dixon made a motion seconded by Commissioner Nobles to approve the agenda with an amendment to add Executive Session after Commissioner Comments. Motion carried unanimously. Approval of Minutes November 18,2014 : Regular Board Meeting Commissioner Dixon made a motion to approve the Minutes with an amendment on page 2 to read: Commissioner Dixon made a motion seconded by Commissioner Nobles to approve all three applications. Motion carried by a 3-0 vote with Commissioner Williams abstaining. Also, on page 5 an amendment to read: Commissioner Dixon made a motion seconded by Commissioner Nobles to adjourn at 8:00PM. Motion carried unanimously. Commissioner Nobles seconded the motion. Motion carried unanimously. Employee Recognition: Commissioner Roy Lee Williams was honored for 28 years of service as a Board Member to the Toombs County Board of Commissioners. Chairman Tillery invited all prior Commission Board Members to come to the front for a picture to be taken with Mr. Roy Lee Williams and he was awarded a plaque thanking him for his service. Several of the prior Commissioners gave Commissioner Williams words of praise for his service to the County. Mount Vernon Bank. Leadership Toombs-Montgomery will hold a Culture and Leisure Session on Tuesday, January 13, 2015. Toombs-Montgomery Youth Leadership will have a Toombs County Day on Thursday, January 22, 2015. In conclusion, Mr. Mitchell informed the Commission that the Toombs County Development Authority will hold their next meeting on Thursday, January 15, 2015 at 12:00 noon. Also, the Chambers Annual Membership Meeting will be held on Thursday, February 5, 2015. More information will be provided in the Blast Emails. Department Reports: County Manager John Jones informed the Commission about the repairs on Dasher Road. The Dasher family has been in Toombs County a long time moved away and came back. One of the Dashers passed away during the rough weather of the Thanksgiving Holidays and called to ask that something be done to the road because of the death and family coming in. Consideration of Resolutionfor Submission of 2015 CDBG Application to Georgia DCA: Commissioner Nobles made a motion seconded by Commissioner Dixon to approve the Resolution for Submission of 2015 CDBG Application for Pendleton Creek Road. Motion carried unanimously. Consideration of Re-Appointment of John M. Jones to Heart of Georgia Regional Commission Commissioner Dixon made a motion seconded by Commissioner Nobles to approve the re-appointment of John M. Jones to the Heart of Georgia RegionalCouncil. Motion carried unanimously. 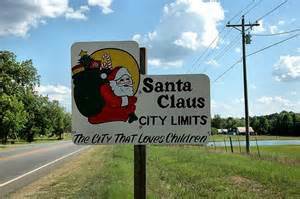 Consideration of Toombs County Holidays for 2015: Vice-Chairman McCormick made a motion seconded by Commissioner Dixon to approve the Toombs County Holiday for 2015 as printed. Motion carried unanimously. Vice-Chairman McCormick made a motion seconded by Commissioner Dixon to approve the 2015 Beer and Wine License for John’s County Junction. Commissioner Williams abstained from the vote. Motion carried 3-0. Consideration of Approval of Adoption of ACCG Retirement Services 457(b) Deferred Compensation Plan for Toombs County Employees: Vice-Chairman McCormick made a motion seconded by Commissioner Dixon to approve the adoption of ACCG Retirement Services 457(b) Deferred Compensation Plan for Toombs County Employees. Motion carried unanimously. Consideration of Acceptanceof the Qualifying Fees/Offices for 2015 Report: The Commission reviewed the Qualifying Fee Policy that was adopted previously. No action was taken. Presentation of Impact Statements on Closing a Portion of Adams Hammock Road: Manager Jones informed the Commission that all the impact statements have not been received and will be available at the next regular meeting. Presentation of Impact Statements on Closing a Portion of Bud Jordan Road: Manager Jones informed the Commission that all the impact statements have not been received and will be available at the next regular meeting. Extension: Nobles to accept Country Estates Boulevard Extension into the Toombs County Road System. Motion carried unanimously. Financial Report Manager Jones gave the November Financial Report and informed the Commission that the LOST collections are up 2%. EMS Report Revenues were $ 125,119.00 and expenditures were $166,398.00 for the month of November. There were 513 runs for the month of November. EMS has appointed a new quality control person who visited the billing service up in Lagrange a few weeks ago and she has come back to improve procedures and processes we have for trip reports. We can streamline them and be more efficient. Also, errors in billing could be prevented and corrected. In January, EMS will receive tablets from the billing service EMS Consultants for paper free reports. HVAC System Jones informed the Commission that the HVAC System at the Courthouse: Courthouse is probably going to have to be replaced within the next year. 2014 LMIG – Glynn James A pre- con meeting was held this past week and plan is to authorize Road Update: McClendon to proceed Monday February 2, 2015. They will be given 120 consecutive days to finish the first phase which is from US HWY 1 to Tomlin Road. They are doing some compaction testing which is why it is being delayed. The first phase should be completed by June. Other Miscellaneous Items: Mr. Jones informed the Commission that in their packets is an Agreement for Automatic Aid Assistance between Toombs County and Emanuel County for Fire Services. Commissioner Dixon made a motion seconded by Vice-Chairman McCormick to approve the Agreement for Automatic Aid Assistance. Motion carried unanimously. Chairman Tillery asked that before this agreement is renewed that a geographical map should be done to show the limitations. All other appointments will remain the same as last year. Vice-Chairman McCormick made a motion seconded by Commissioner Nobles to approve the appointments. Motion carried unanimously. Commissioners Comments: Commissioner Nobles reminded the Commission that Governor Deal’s wife is looking for a student to be nominated for “The Servant’s Heart Award”. If you know a deserving student the application should be in by January 8, 2015. He reminded everyone of the Legislative Breakfast being held in Vidalia on Friday, January 9, 2015. Also, there will be a Life Long Learning Academy at the Marriott in Atlanta on February 9, 2015. Mr. Nobles informed the Commission that he was going to try to go. Commissioner Dixon congratulated Mr. Nobles on his completion of the Commissioner’s Certification. Chairman Tillery thanked all the previous Commissioners who came tonight to honor Commissioner Williams and gave them the opportunity to speak on behalf of Commissioner Williams. Those present were Steve Brown, Greg Morris, and Alvin Hitchcock. Commissioner Williams said “I want to send a message to the constituents of Toombs County that I love them all and I am very pleased with all of them and thank them for supporting me in whatever I tried to do. I did want to say that I served with a good woman Ms. Mary Baker Rice who was a very fine Commissioner. We had a great time all the time. Thank you and I love all of ya’ll and I am going to be praying for you. Executive Session: Vice-Chairman McCormick made a motion seconded by Commissioner Nobles to go into executive session to discuss pending litigation. Commissioner Dixon made a motion seconded by Commissioner Nobles to end executive session. Motion carried unanimously. No action was taken as a result of executive session. Adjournment: Commissioner Dixon made a motion seconded by Commissioner Nobles to adjourn at 7:52PM. Motion carried unanimously.